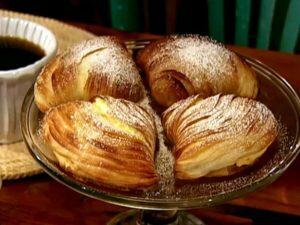 Sfogliatella were first made at the monastery of Santa Rosa in Conca dei Marini in the province of Salerno, in the 17th century. 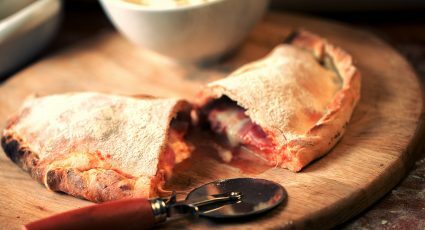 The pastry is baked until its is crispy and flaky, and is filled with soft ricotta, with additional flavours added such as orange, almond or citron. The pastry is known for its cone shell shape and thin flaky dough ridges, resembling stacked, layered leaves.